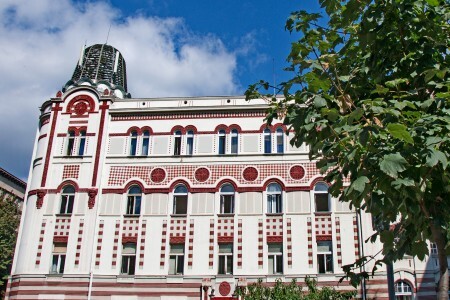 Belgrade Attractions - The building of the Old telephone exchange from the list Belgrade Attractions is located in Kosovska Street, behind the building of the National Assembly of the Republic of Serbia in Belgrade. It was built specifically for the telephone exchange according to the plan of architect Branko Tanazević and is the first such facility in Serbia, and as such deserves a place on the Belgrade Attractions list. Its construction was completed in 1908, and the third floor was erected after the First World War. The Old telephone exchange building is under the protection of the country since 1981 as a cultural heritage of great importance. The building of the Old telephone exchange was built in the Serbian-Byzantine style, it has a simple architectural compositions with a functional basis. Special attention is placed on the processing of the angular part of the building with a characteristic dome. The solution for the facade is asymmetrical with a shallow projection with a larger width at one part of the building and the wide windows that take up most of the facade. It is embellished with numerous shallow plastic applications, reduced almost to the level of the facade, consisting of stylized motifs taken from the heritage of the Moravian school, rosettes, interwoven geometric motifs and the chessboard motif. In addition to the successful realization of the Serbian Byzantine style architecture and the very important work of one of the major proponents of this style, the building of the Old telephone exchange has great historical significance as a representative building, and it documents and is a witness of the evolution of the telephone service in Serbia in the beginning of the 20th century. The building was on the old bill of 50,000,000 dinars from 1993. Booking is not valid until someone from Old Telephone Exchange building Attraction contact you to confirm reservation.